As a working farm with a strong educational focus, we hope to give visitors the chance to observe and interact with farm animals. Our chickens and goats have become a beloved part of the farm and the surrounding community, attracting people of all ages. We also have honey bees and farm dogs on the property. Please respect the animals and the rules that we’ve listed as a way to keep them (and you!) safe and happy. 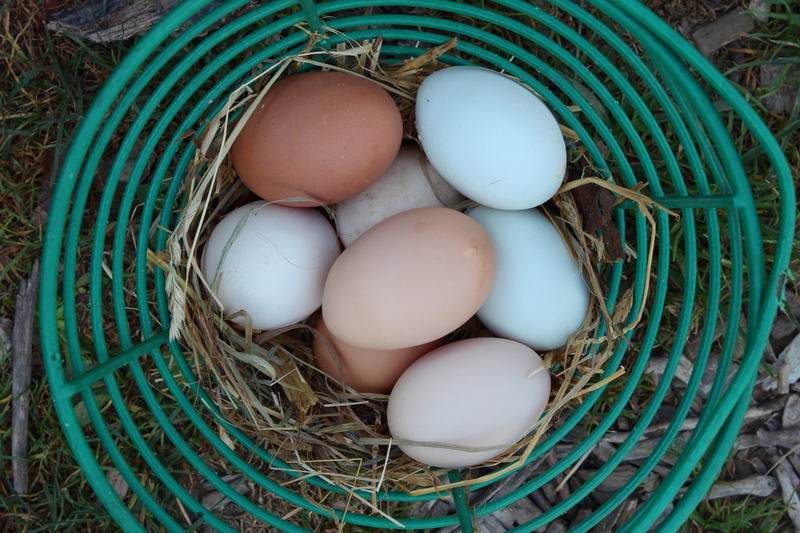 The farm keeps a flock of 30 – 50 chickens. 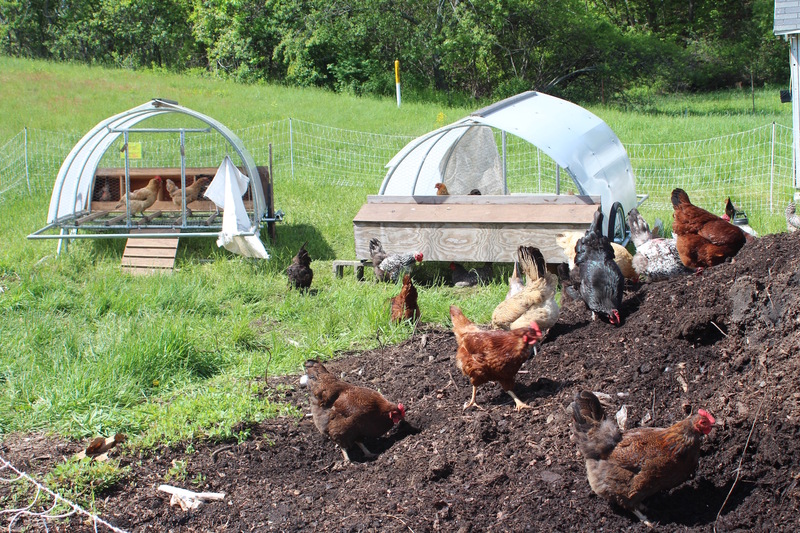 During the Winter, they reside in their “permanent coop” next to the Farm Stand, but during the warmer months, you’ll see them in their mobile coops, moving every couple of days around the farm. And while the chickens do have a pen where they are fenced in (the white netted fencing is electric, so don’t touch! ), many of our chickens prefer to roam the greater farm and fly over their enclosures, so you may see completely “free ranging” chickens during your visit. This is totally OK and natural (they rarely venture too far away from the pen and they always come back to it at night). These chickens serve the farm by laying eggs, providing poop for our compost, and aerating the fields by scratching and digging in the ground. They can also be destructive to crops and seedlings, so we have to be careful to move them before they can get into trouble. Visitors may feed the chickens – but please follow these guidelines. We have a small herd of goats – a bit of a rag-tag bunch. 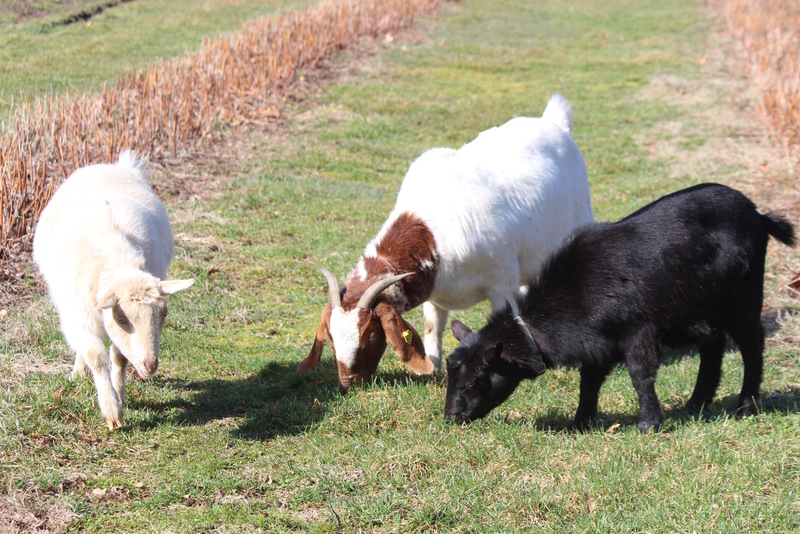 We have three female Boer goats (the brown and white ones), two male Nigerian dwarf goats (the black and cream colored ones), and two male Saanen mix breed goats. These goats have become a real attraction for many folks who love to come and watch their antics, feed them treats, and get to learn their personalities. 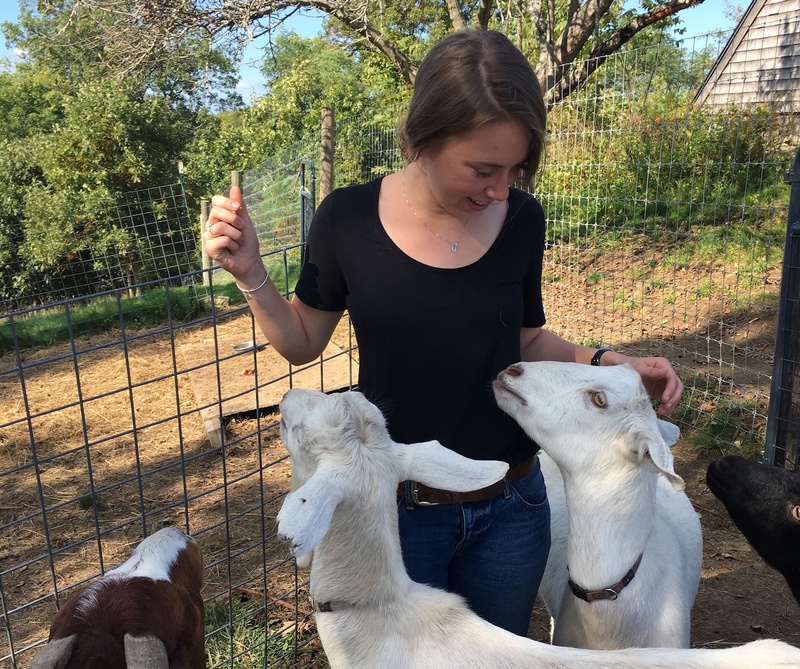 We keep these goats to help educate youth and adults who come to our programs about farm animals and ruminants. We also have been incorporating them into our agroforestry plan to help us cultivate and promote healthy forests and fields. The goats home base is in the tall fenced-in structure (wooden fence posts), but we often take them out to forage to add variety to their diets and to help us cut back invasive plants. You may see them behind white netted fencing (this fence is electrified so don’t touch!) which means they are “at work” – please do not feed them at this time. Visitors may feed the goats when they are in their main fenced-in area, but please follow these guidelines. We keep 4-5 hives of honey bees at the farm to help with the crucial task of pollinating our crops (although there are many different species that pollinate, not just honey bees!). Currently they are located next to the woodshed near our farm pond. Just give the hives a little bit of space, but feel free to watch the amazing activity of these bees. We do harvest honey from them once or twice a year, depending on how productive the bees have been. We always try to leave them plenty of honey for their energy stores for winter time – you never want to take too much! Our honey harvests are relatively small, so jars of our honey are available on a limited basis. 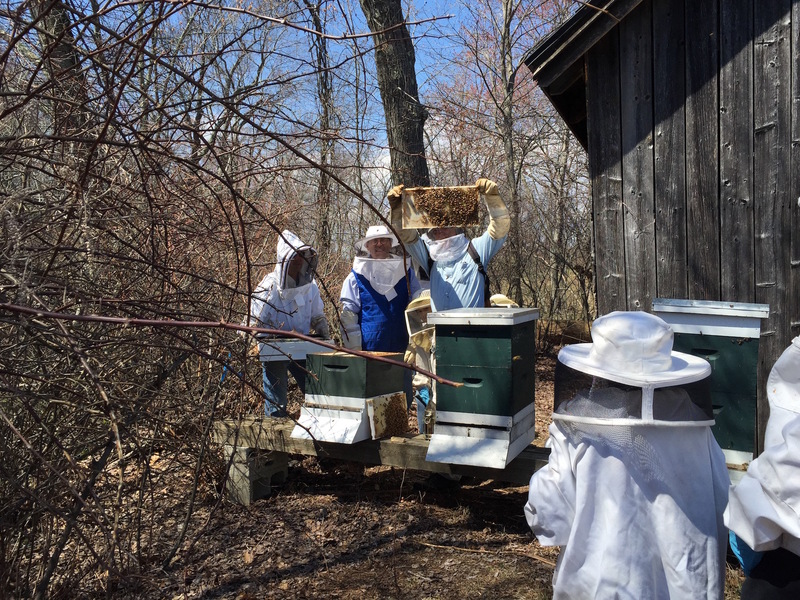 We are also working with another local beekeeper to keep hives on another location at the farm to promote a healthier ecosystem and more honey production. We have a couple of farm dogs on site who help protect our other animals from predators (coyotes, hawks, etc.) and cut down pest problems (rodents love eating all of our seedlings and delicious produce). The farm dogs know the farm fields and where they should and should not go. You may see them off leash as they patrol the grounds – they are working. 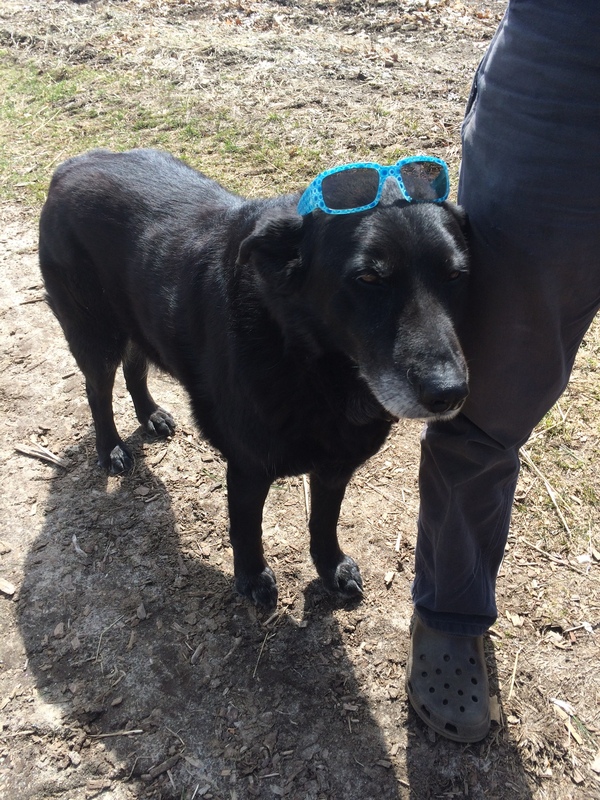 Please ask permission before petting the farm dogs. 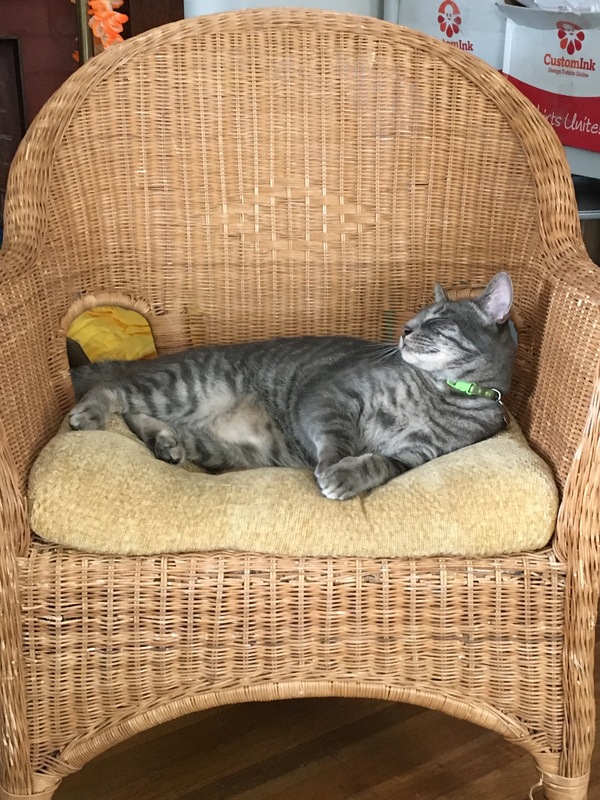 You may have noticed our gray tabby cat prowling around the farm (or checking out your cars…he seems to be obsessed with them). His name is Buddy, or Buddy Cat. We got him in the hopes that he’d take care of some of our rodents making trouble on the farm. He completes his work with varying degrees of success, but we all love him regardless. If you’re lucky, maybe he’ll come up and say hi to you! In the past, we have raised sheep at the farm. But since our goat herd has grown, we are bumping up on the limits of what the land can sustain. In an effort not to overburden our important resources, we are not currently raising sheep.